There is no better way than to divine the spiritual path of others then with the esoteric wisdom of the tarot. The Alchemy Tarot Cards is a traditional tarot deck filled with 78 cards that depict a wide assortment of Alchemy imagery. When a problem presents itself and you do not know the answer, perhaps it is time to read the runes. 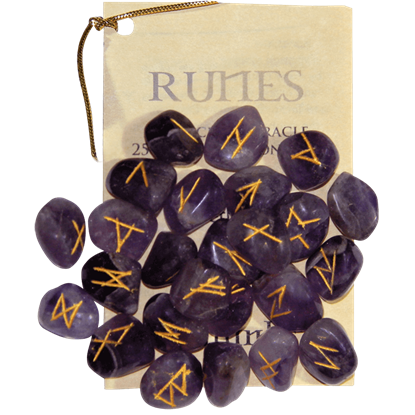 This Amethyst Set of Rune Stones consists of twenty-five rune stones, each of which is individually carved with an Anglo-Saxon rune. When a problem presents itself and you do not know the answer, perhaps it is time to read the runes. 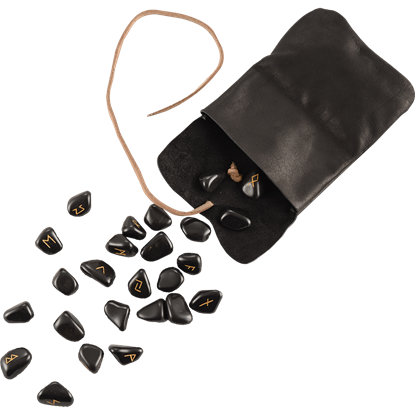 This Black Agate Set of Rune Stones consists of twenty-five rune stones, each of which is carved with an old Anglo-Saxon rune. When a problem presents itself and you do not know the answer, perhaps it is time to read the runes. This Bloodstone Set of Rune Stones consists of twenty-five runes, each of which is individually carved with an old Anglo-Saxon rune. When a problem presents itself and you do not know the answer, perhaps it is time to read the runes. 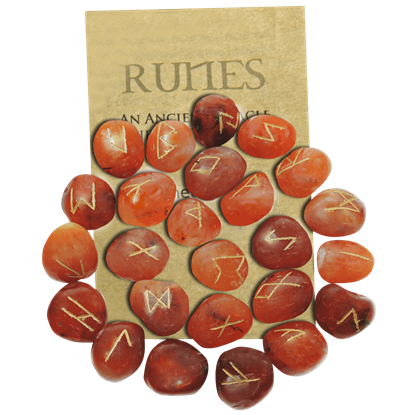 This Carnelian Set of Rune Stones consists of twenty-five unique rune stones, each of which is carved with an old Anglo-Saxon rune. When a problem presents itself and you do not know the answer, perhaps it is time to read the runes. 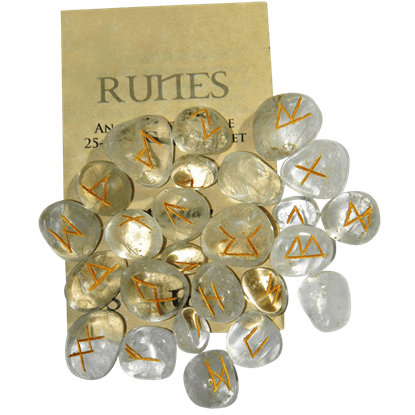 This Crystal Quartz Set of Rune Stones consists of twenty-five runes, each of which is individually carved with an Anglo-Saxon rune. When a problem presents itself and you do not know the answer, perhaps it is time to read the runes. 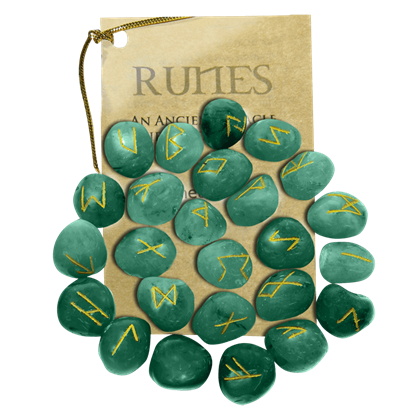 This Green Aventurine Set of Rune Stones consists of twenty-five unique rune stones, which are carved with old Anglo-Saxon runes. 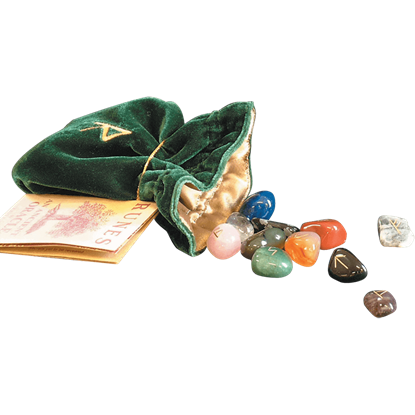 Variety is one of the main appeals of this Mixed Rune Stone Set with Bag. 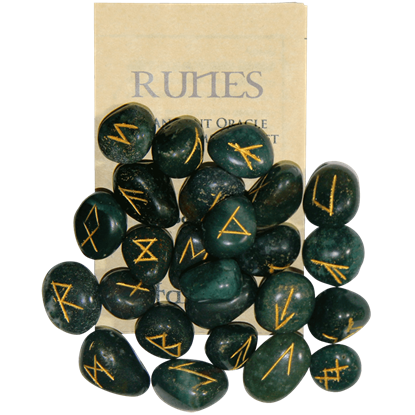 Not only does it offer a variety of runes, but it also offers a variety of stones, making it a set that is perfect for rune-casting, scrying, collecting, and more! 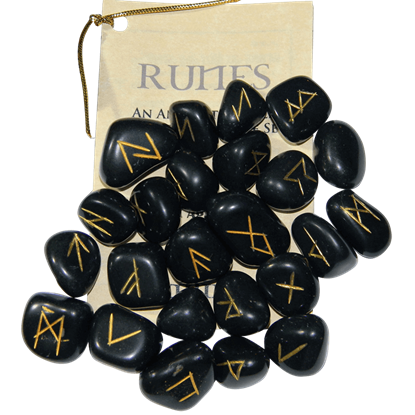 For the mystically inclined, a good set of runes is a must-have. Not many sets can compete with the appeal of this Multi-Stone Set of Rune Stones. 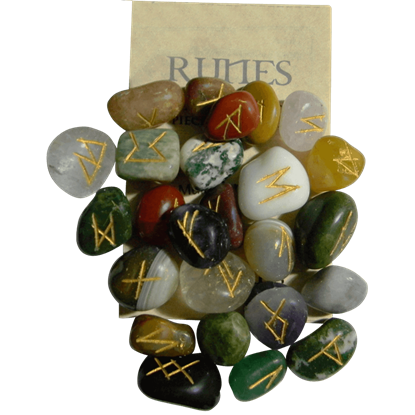 The variation of runes and stones means that this set can channel many different energies. When a problem presents itself and you do not know the answer, perhaps it is time to read the runes. 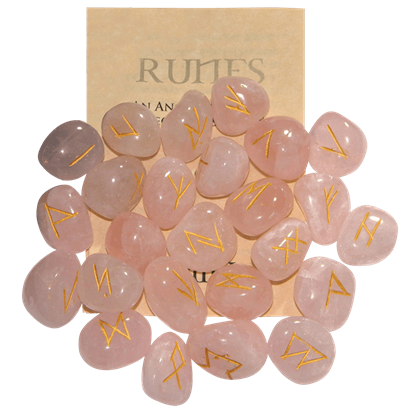 This Rose Quartz Set of Rune Stones consists of twenty-five rune stones, each of which is carved with an old Anglo-Saxon rune. Viking runes have captured the interest of people for centuries, fascinating linguists and laypeople alike. With the Viking Runes with Leather Pouch, you can keep this ancient alphabet close at hand and apply its symbolism to your life. Elder Futhark is the world's oldest runic alphabet. After the Middle Ages, it was no longer used and largely forgotten until its translation in the 1800s. 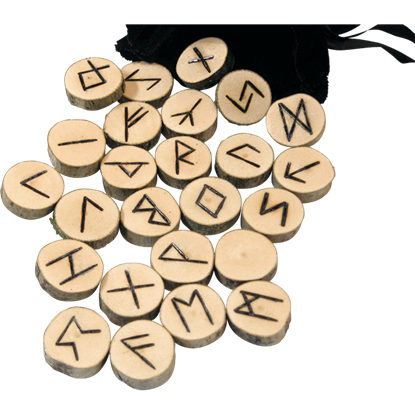 The Wooden Elder Futhark Runes can put these graphemes back into your repertoire.